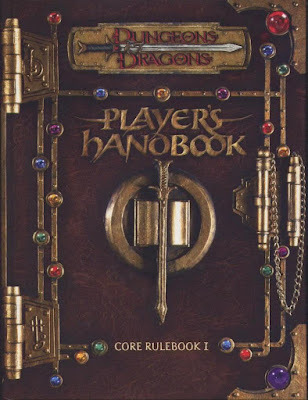 So far, I've been able to keep up with all the necessary #RPGaDAY posts without getting so far behind that I quit due to the dread of having to write 10 or more posts at once. 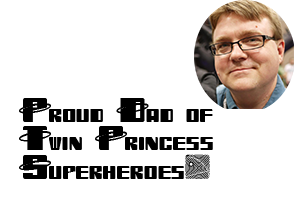 One of the reasons for that is that this year's set of questions have been good prompts, and the other is that I've decided to make a concerted effort to post more often. I missed yesterday's prompt, but it and today's are very much related in them and I'll be combining them into one post. Day 17 - Which RPG have you owned the longest and not played? I own a lot of role playing games. I'm not saying I own "the most" role playing games, as that claim would be absurd, but I own a lot. Over 500 a lot. Probably more than that. I own more role playing games that I've cared to enter on RPG Geek because it just takes too long. I should update them on a database, but I've got work and research etc. and I just don't have the will to do it. Besides, a lot of my games are in a storage unit I've converted into a gaming library. Needless to say, it's a lot of games. Some of those games I bought just to read and see how they did things. Cosmic Enforcers comes to mind as one of these kinds of games. It's a super hero role playing game and given that I've already got my favorites in that category it was doomed to be mere reference material. But there are some games that I bought because I really want to play them, even if most of my friends probably won't. I buy them in the hopes that one day I'll be able to experience at least a one-shot of the game. I bought Scion: Hero and Tour of Darkness for this reason. The game that I own the longest and have not played falls into the "I really want to play it" category. 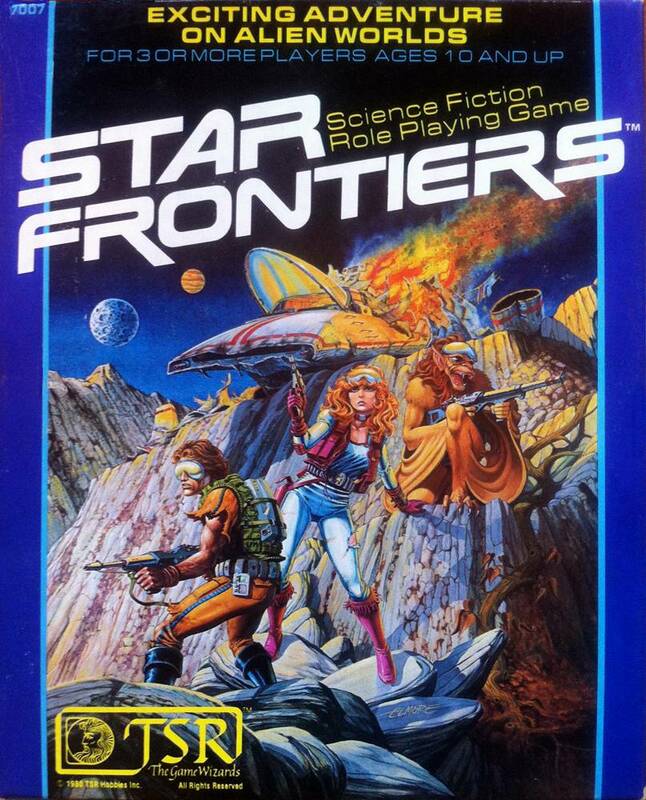 Back in the days before the "Sweet Pickles Bus Wars" a friend of mine got a copy of Star Frontiers. I loved the illustrations and I loved the setting. I desperately wanted to play and I soon got my own copy. I read through the rules and made up several Basic and Advanced characters. I talked about the game with my friends and we planned a sleepover gaming night...then the "Sweet Pickles Bus Wars" began and I had to put off playing it. Years later, another of my friends expressed an interest in playing and had even written up a campaign to run us through, but that was never to happen. I've owned the game a very long time and have not played it once. It's a game from a different era of play and I would love to get a chance to play it some day, even if only for one session that is followed by a campaign in the Federation using Savage Worlds rules. Day 18 - Which RPG have you played the most in your life? When the Dungeons and Dragons 3rd Edition Player's Handbook came out, I hadn't gamed for a few years. I'd spent the couple of years before the release finishing my undergraduate education and didn't have much time for RPGs. My wife and I had just moved to Los Angeles and didn't know a lot of people. I'm the kind of person who needs a circle of friends to help me recharge from the stresses of day to day toil and struggle, and gaming is the perfect hobby for that. It didn't take long for me to find a group of players, most of whom are still my good friends today, and kick up a campaign. That 3.x campaign ran from 2000 to 2008 and we played almost weekly for a good chunk of that time. I saw characters go from first level adventurers struggling to survive in the Sunless Citadel to 20+ level paragons who battled against a living fragment of Tharizdun that was was destroying the Feywild, the Elven Pantheon, and all the Elves on Oerth. After years of adventure, the campaign came to an end and the world of Oerth was changed forever as many of the old gods (not Old Gods) perished in Tharizdun's wake and were replaced by a new Pantheon. Oerth's elven population was significantly reduced as the corruption of Tharizdun's influence in the Feywild manifested as a wasting disease that killed 90% of that world's elves. It was a blast...and it exhausted me. I was ready for a new game system and that's around when 4e came out. It was too early for many, but it was at exactly the right time for me.